Warriors of Fate was never ported to any U.S. home consoles. Note 1: Like Beat ‘Em Ups? Check out my reviews of Bare Knuckle III, Crows: The Battle Action, D & D, Double Dragon II, Final Fight Guy, Final Fight II, Mighty Final Fight, Nekketsu Oyako, and Sengoku 3! 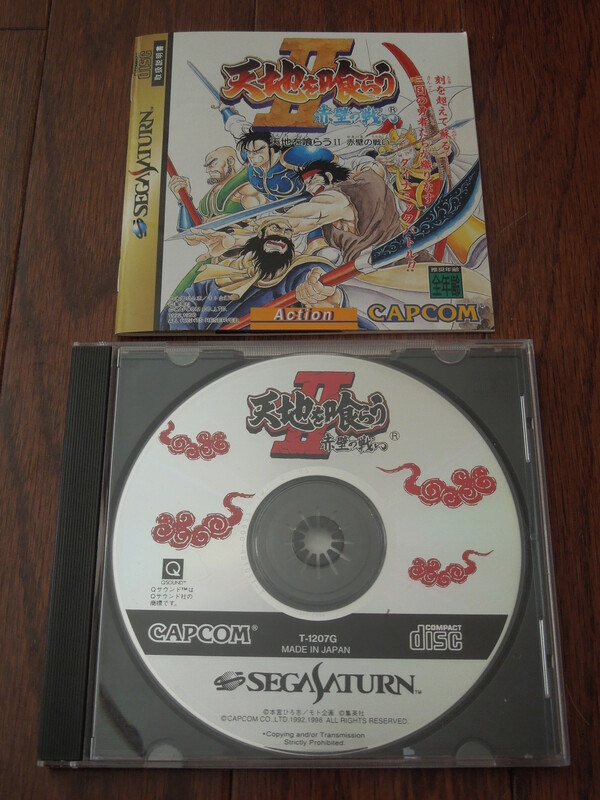 Quick History: Warriors of Fate, or Tenchi o Kurau 2: Sekiheki no Tatakai in Japanese (translated: The Devouring of Heaven and Earth II: Battle of Red Cliffs) was released for the Sega Saturn in 1996 exclusively in Japan. The game is an arcade-perfect port of the arcade game released in 1992. There were 2 versions of the arcade game released in 1992, a Japanese version and an international (including releases in U.S. arcades) version. 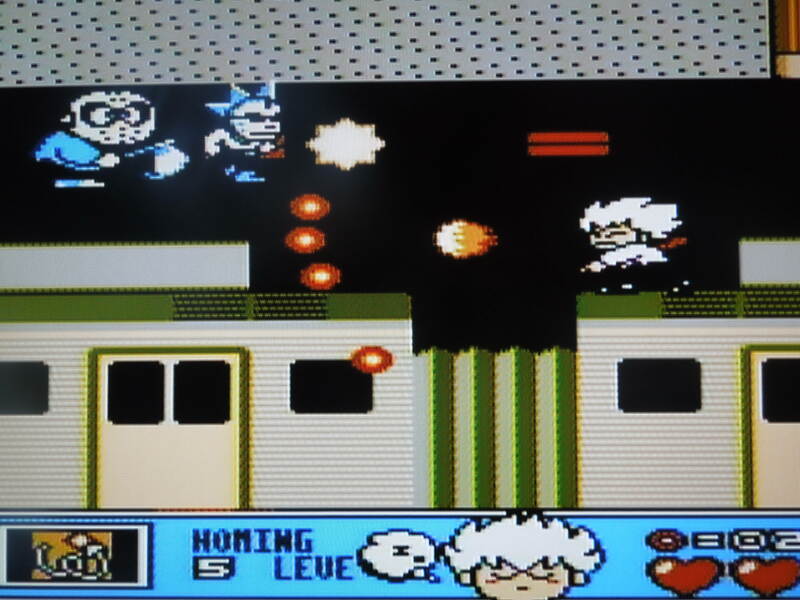 While the gameplay in both arcade versions was the same, the international version changed the story, changed the character names, and took out what was a somewhat-controversial scene. The version reviewed here, the Sega Saturn Japan-only release, is a direct port of the Japanese version of the arcade game, not the international version. 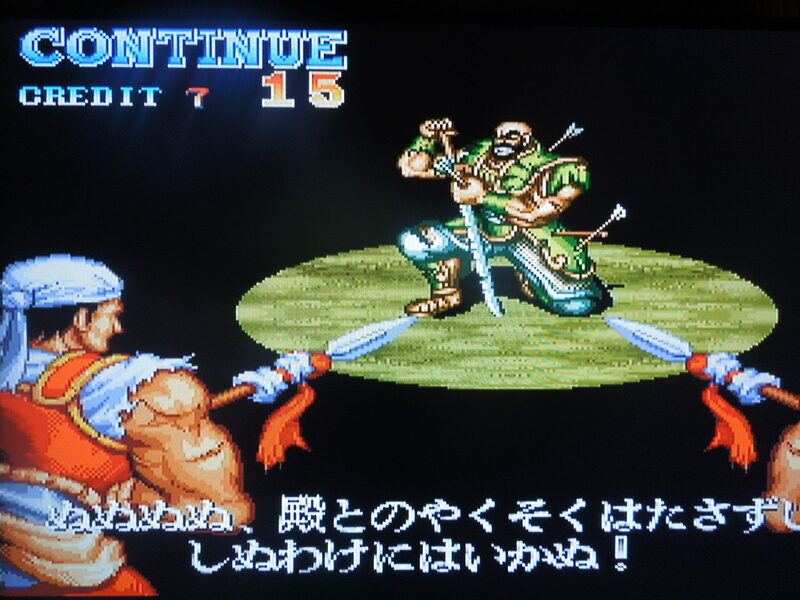 The only differences between the Japanese arcade release of Warriors of Fate and the Sega Saturn port of Warriors of Fate were the addition of an Options menu in the Saturn release and a reduction in the maximum number of human players. In the arcade, up to 3 players can play at once; on the Saturn, only 2 players can play at once. Story: Based on the historical novel ‘Romance of the Three Kingdoms,’ in Warriors of Fate, you fight as one (or two in co-op mode) of Liu Bei’s 5 warriors against the armies and generals of the ‘evil’ warlord Cao Cao, who is attempting to expand his territory and his power by conquering new lands and killing innocent people. Control: Warriors of Fate utilizes only 3 of the Sega Saturn’s buttons (making it an ideal game for arcade sticks like the Real Arcade VF): Buttons A, B, and C. A swings you weapon or punches, depending on your character. B jumps. C executes your Special Attack, which drains some of your health when it connects with an enemy. Additionally, you have other special moves at your disposal. Pressing Down + B makes your character do a dash attack. Presing, Down, Up, A makes your character do a vertical jumping attack. You’ll automatically grab enemies when you get close to them. Pressing A + right or left with a grabbed opponent throws him. Pressing A + Down with a grabbed enemy, for some characters, executes a specific move like biting (Chou-Hi). Jumping (B) with a grabbed opponent followed by pressing A executes a special move, like a pile driver. Each of the game’s 5 selectable characters executes different moves. 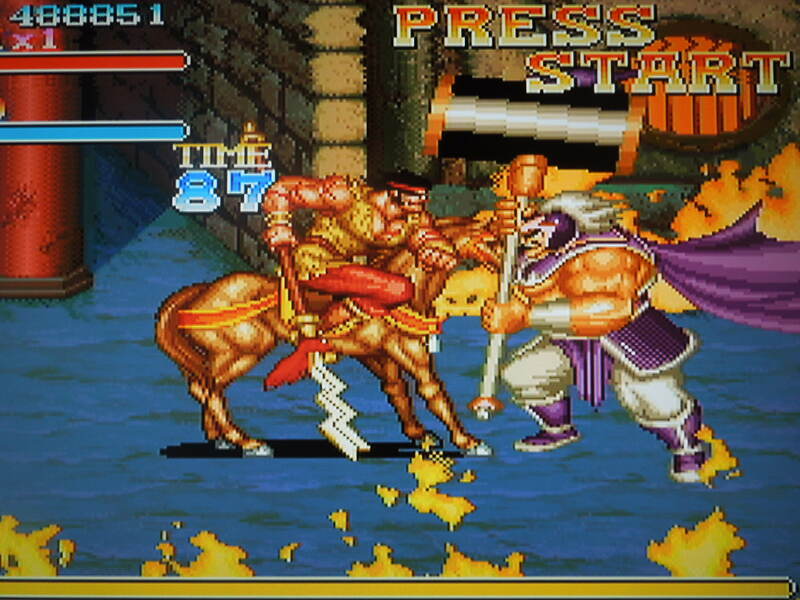 Battling on horse-back makes this Beat ‘Em Up stand out from the rest. Controls on Horseback: At certain points in the game, you can battle on horseback, which is executed very well in this game. A swings your lance from horseback. A + left or right changes your direction as long as no enemies are around you. B + forward makes your horse charge. While charging, continually pressing B causes you to whirl your lance, knocking out multiple enemies and doing great damage. Rapidly tapping A while standing still causes you to execute a flurry attack with your lance. Getting in close to enemy soldiers and pressing A executes a spear-and-toss throw on individual soldiers. You can also still use your energy draining special attack by pressing C. Down + A will dismount. You can usually get knocked off your horse once and it will wait for you to return, but after a second knock-off, your horse will bolt from the battle. Some characters are clearly better than others. Characters: Kan-U, Chou-Hi, Chou-Un, Kou-Chuu, and Gi-En make up your selectable characters. Each vary in their playability in terms of speed and strength. 3 (Chou-Un, Kou-Chuu, Gi-En) carry weapons (swords or a bow) at all times, and 2 (Kan-U, Chou-Hi) fight bare-handed unless you pick up a weapon found in the game. Having played with all the characters, they don’t all seem to be balanced fairly. 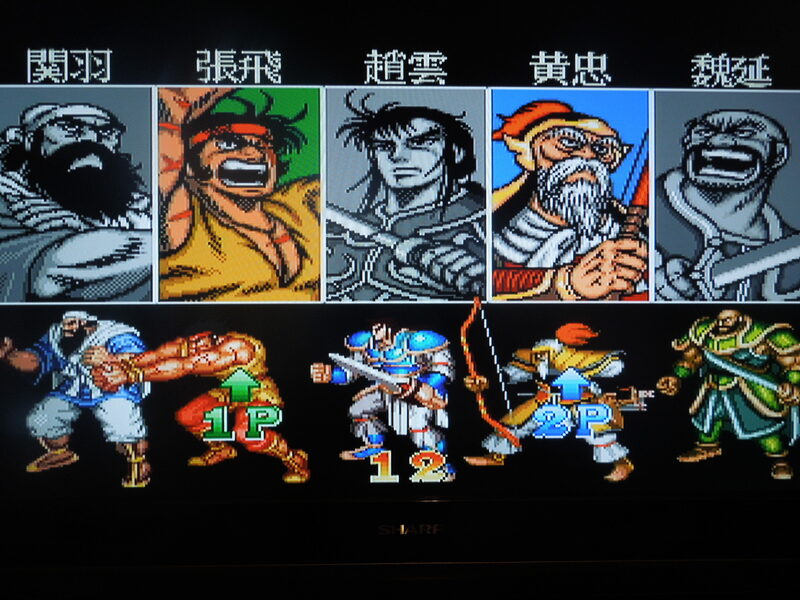 Kan-U and Chou-Hi (two bare-handed fighters) are both wrecking machines and great choices for trying to beat the game; Kou-Chuu and Gi-En (two characters with swords) are average – they don’t seem to do enough damage to enemies when you want them to); Kou-Chuu (archer) definitely seems far weaker than the other characters – expect to die a lot with him unless you find a way to master his abilities. Gameplay: In Warriors of Fate, you take your character(s) through 9 rounds of Beat ‘Em Up action in combat against the armies of Cao Cao. Swarms of soldiers attack you at one time, so mastering the special moves is a must if you want to avoid getting killed often. 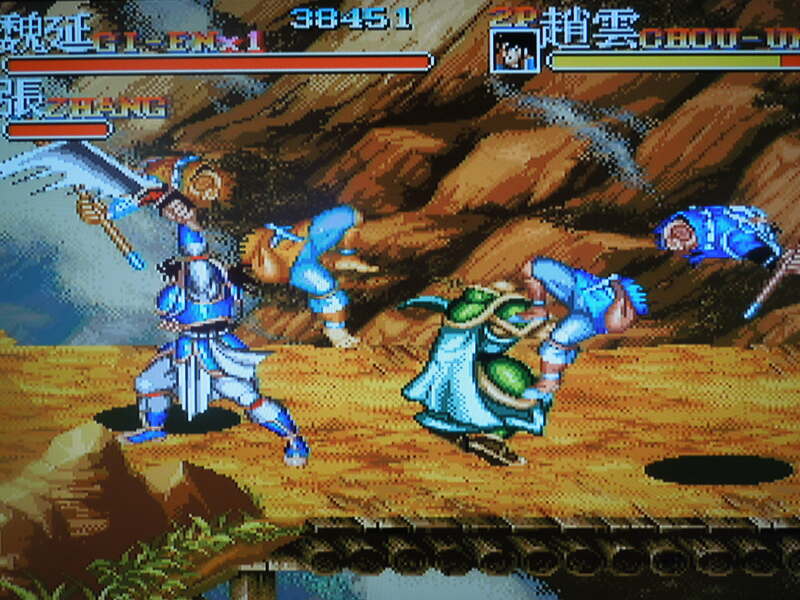 At the end of each stage is a boss, one of the generals of Cao Cao. You’ll never fight the bosses alone either, as there are always enemy soldiers present to help their general. As you fight both enemy soldiers (which include foot soldiers, archers, bomb-throwers, wrestlers) and generals, you can execute ‘kill moves’ if you use one of your special attacks when an enemy is almost defeated. These kill moves cause your character to chop enemy soldiers in half along the mid-section (even bare-handed fighters Kan-U and Chou-Hi can do these). 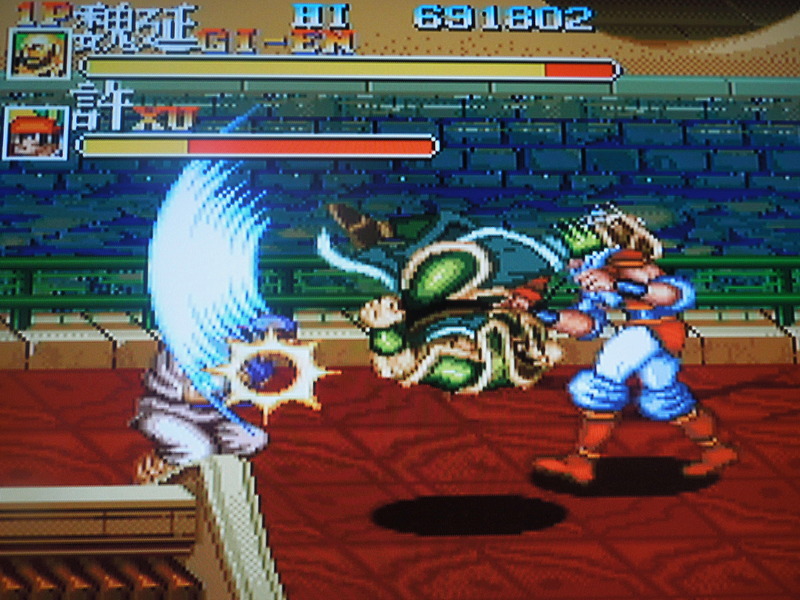 There are additional gory features to the game like blood spurting from enemies following Chou-Hi’s bite move, and blood issuing from characters shot with arrows. The backbone of any good Beat ‘Em Up: Co-op gameplay. Food, Special Weapons, & Treasure: Breaking open barrels and chests will reveal gold or other items that increase your point total, different food items to replenish your energy bar, or special weapons like huge swords, maces, and hammers that do massive damage to enemies. There are also 3 extremely powerful weapons hidden in certain stages of the game. You can use any weapon you find until an enemy knocks it out of your hands twice, at which time it will disappear. Music & Sound: Excellent. Very dramatic overtures play during rounds, cutscenes, and in boss fights, and the battle slashes, death screams, and individual main character voice-overs are well-done. Options: In the Options menu, you can change the control scheme and alter when your character gets extra lives from points acquired. The default extra lives allowance is ‘Every 200,000 Points,’ which is the best way to go if you want to beat the game. You can also select the game’s difficulty from Easy, Normal, or Hard. You get exactly 10 credits to try to beat the game. Credits: The game gives you 10 credits (shared by both characters in 2 player co-op), and you cannot alter this at all. No ‘Free Play,’ no adding or reducing the number of credits. You get two lives per credit, but remember you do gain extra lives from gaining points, so staying alive and racking up points counts. Also, you can change characters every time you continue and use a credit. Loading Times? Very, very short between stages and cutscenes, not an issue at all. Language Barrier? No, basically. The story in the game is in Japanese, and there are cutscenes between each of the games 9 rounds that advance the story, complete with Japanese text. However, even without being able to read the language, the scenes do a good job of telling the story – Cao Cao’s army is slaughtering innocents and you must stop them. Almost everything else is in English – the Options menu, the character names (on the gameplay screen at least, although they’re alongside the Japanese letters of the characters’ names), enemy names. The ONLY time there’s an issue is at the very end of the game, when you’re given the choice to let Cao Cao go, or kill him. Because the text is in Japanese, you won’t know what you’re selecting. The top choice is to fight him, and the bottom choice is to let him live. If you choose to fight him, you’ll only have 15 seconds to beat him or he’ll escape. So, where can I find this game? Ebay. The arcade version was ported to both the Sega Saturn and the original Playstation, although I’ve read that the Playstation version is inferior and not arcade-perfect. You can also download the rom for play on a computer emulator. 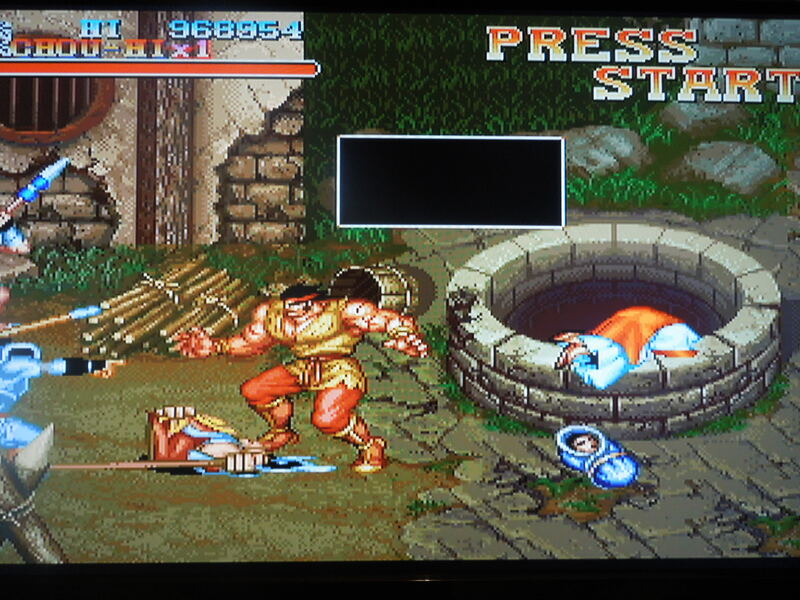 This controversial scene where a woman abandons her baby before throwing herself down a well was removed from the international arcade version of Warriors of Fate. Conclusion: Warriors of Fate for the Sega Saturn is another outstanding Beat ‘Em Up. The control, the graphics, and the sound all come together wonderfully to create a memorable gaming experience. I particularly like the ’10 credits only’ design. The fact that the game isn’t set to ‘Free Play,’ but instead, assigns you an unchangeable number of continues means you’ll have to actually perfect your playing abilities. 10 credits seems just right for this game, too – there have been many times I’ve played all the way to the end of the game and come up 1 life short against the final boss, or managed to beat him with no lives to spare. Also, you can’t ‘cheat’ by pressing Start on controller 2 once you’ve used up all your credits and jump back into the game as Player 2 with 10 credits, because Player 2 shares them with Player 1. Make no mistake though, 2 player co-op in Warriors of Fate is a blast, just make sure your partner isn’t terrible if you want to beat the game! This entry was posted in Sega Saturn - Warriors of Fate and tagged Warriors of Fate Review (Sega Saturn). Bookmark the permalink.